Polycell Mould Killer contains a powerful fungicide which kills and removes mould. It totally prevents re-growth in one single application. 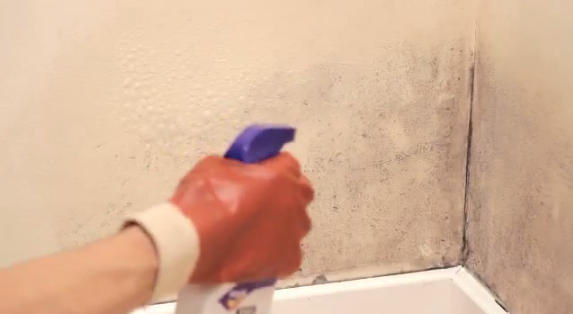 Ideal for preparing mould prone areas before painting to give a better paint finish. Ideal for preparing mould prone areas before painting. 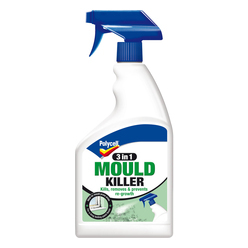 Powerful fungicide that kills and removes mould. Totally prevents re-growth in one single application. Always wear safety glasses and protective gloves. Spray on Polycell 3 in 1 Mould Killer and leave for 5 – 10 minutes. Then wipe away. Leave to dry and then decorate.